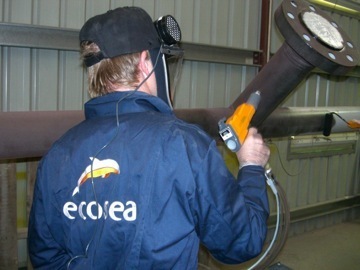 Ecosea provide a wide range of Urethane coatings suitable for many uses in the oil & gas industry. We are able to provide one of our standard proprietary coatings, or if required we can tailor a product to meet your unique and specific requirements. Our patented Cuprotect® product is an effective, low maintenance, yet extremely long lasting antifoul solution which is second to none. Our range of MetProtect™ moisture cured urethanes are suitable for protecting virtually all steel and metals while Gel-Gard™ was developed specifically as a GRP coating. Whatever your coating requirements may be - we are able to help. 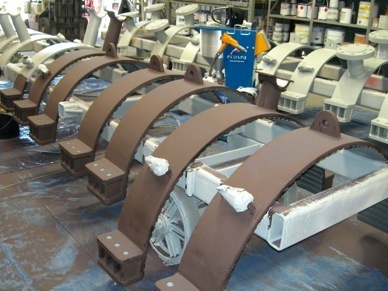 Cuprotect® being applied to Risers, Bumper Bars and clamps for Chevron in Australia demonstrates how easy it is to coat complex shapes and curves. Left; Pump strainers. Prior to using Cuprotect® each strainer had to be refurbished every 3 months - due to bio fouling. Above; Low pressure, high volume spray ensures maximum coverage of Cuprotect®, regardless of substrate shape. 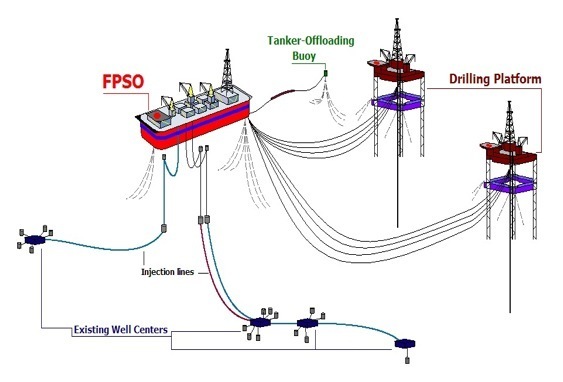 The increasing use of floating production systems (FPS) in the offshore oil industry has driven the development of various methods and technologies that may have far reaching benefits for both commercial and military ships. 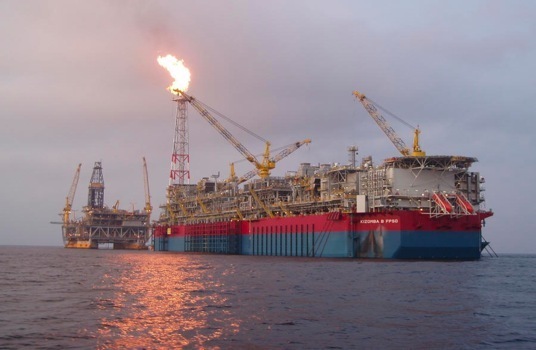 The versatility and cost benefits of using FPS units for exploiting deep water and marginal oil fields has made them very attractive to oil companies. However, there have been problems associated with having to dry dock these ships at five-year intervals in order to meet traditional, prescribed class and regulatory requirements. increase costs by several million dollars. the down time to their valuable offshore assets, caused by biofouling. struts and the nodes that join them. 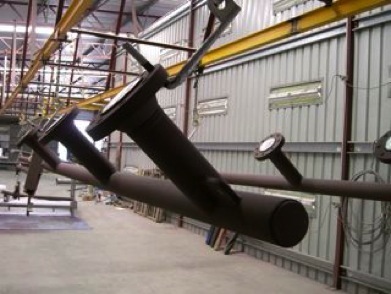 Only after fouling has been removed can inspection for excessive corrosion or cracks be undertaken. Biofouling not only makes inspection more difficult but it actually causes anticorrosive coatings to fail, especially in the splash-zone where barnacle shells often cut right through to the steel. 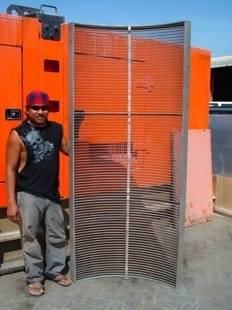 This can result in expensive steel replacement for the rig owner. Conventional antifouling paints may be applied during rig construction but they have a limited life, which can be as short as 18 months. 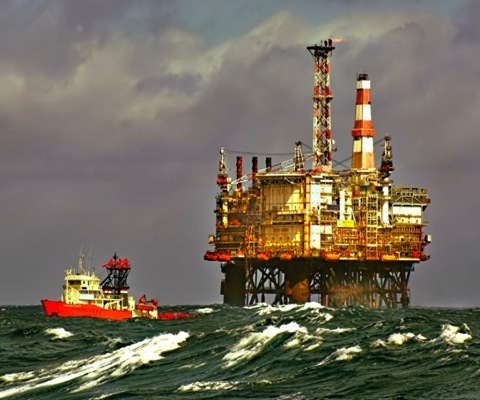 After this short period many rigs, especially production platforms, cannot be docked even though they suffer from serious fouling and exploration rigs have to be taken out of service for maintenance that Cuprotect® could make unnecessary. 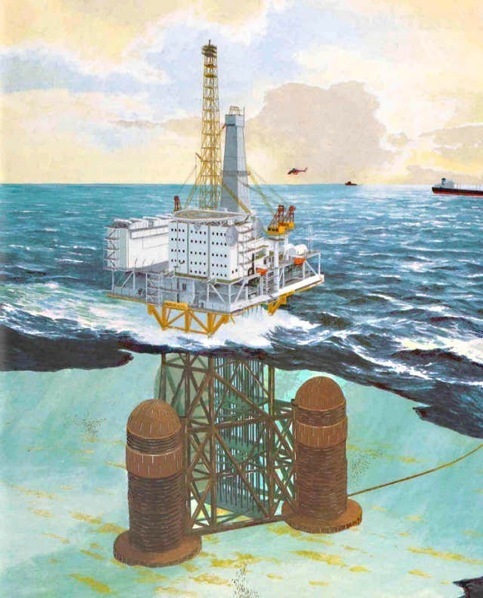 Periodic repainting of the accessible splash zone may preserve the upper parts of the rig legs but this is an extremely expensive undertaking which is not always successful. The lower part of the splash zone is not usually accessible for repainting due to very infrequent calm low tides. Current practice is to add 12 to 16 mm extra to the plate thickness as a corrosion allowance for a reasonable life. Very high corrosion rates have been encountered with steel riser pipes, due to the higher operating temperature caused by hot oil. Cladding of these with nickel-copper alloy has been proved successful and given the known corrosion and biofouling resistance of 90/10 copper-nickel alloy, it is to be expected that this will be an ideal material for leg cladding. 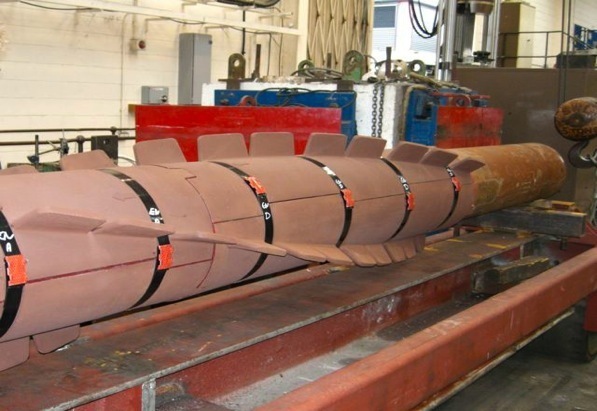 Using Cuprotect® which is manufactured from 90/10 copper-nickel, numerous tests are underway with various oil majors in The Gulf of Mexico, Australia and the Middle East. renders them ineffective after a very short period. Strakes are required to be light but strong and very flexible. Consequently they are made from a variety of materials, normally polyurethane and occasionally polyethylene to which it is extremely difficult (if not impossible) to adhere with conventional anti-foul coatings. Extensive independent tests conducted by clients have proven Cuprotect® as the ONLY anti-foul coating that meets or exceeds their requirements. For more information on how Cuprotect® or other protective coatings from Ecosea can help you, please CLICK HERE to send us an e-mail. Most FPS units are ship-shaped and are often based on new build or converted trading tankers. Many FPS units anticipate remaining on station for extended periods (typically several years) without dry docking. Only Cuprotect® with its proven efficacy and durability, can provide such long lasting anti-foul protection.